Lee Mc Donald is a Plymouth based artist who uses sound and movement to make kinetic, sonic and often public sculptures out of recycled or reclaimed objects. Describing his work as quasi scientific Lee’s practice is based in experimentation and testing. I first met Lee when he turned the courtyard of Baggator Community Centre in Easton into an art installation for the 2014 Bristol Biennial. Arnolfini have an exciting interactive opportunity for young people to take part in, that I thought I’d share with you all! 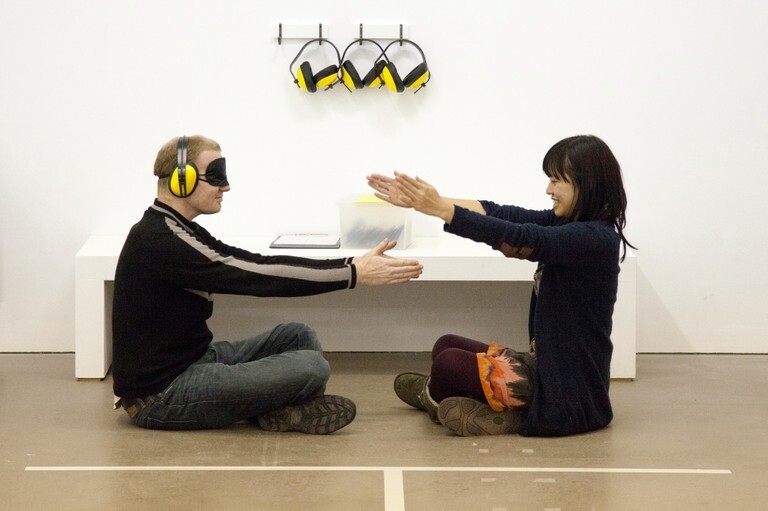 Arnolfini are looking for participants aged between 18-25 to take part in a three hour long workshop for a collaborative project by artist Emma Smith, based on the idea of creating an alternative evolution of voice for social bonding, with the aim of creating a language that makes us feel connected. Lots of us from Young Arnolfini are going to participating, and it would be great to see more young people there! If you are interested in taking part in this opportunity please email Ellie Jeffs ellie.jeffs@arnolfini.org.uk by 5pm Monday 14 April, confirming which workshop date you would like to attend. Found this really interesting article on whether a Private View is really necessary for an exhibition. What do you think? 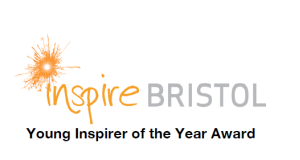 ii) keep an eye out for #Inspire13 on Twitter, Facebook and Instagram for any exciting updates, including peoples posts on their photos from the photo booth! iii) why not check out my blog post on my perspective of the event as the Storify editor. After all, we both know you want to.. 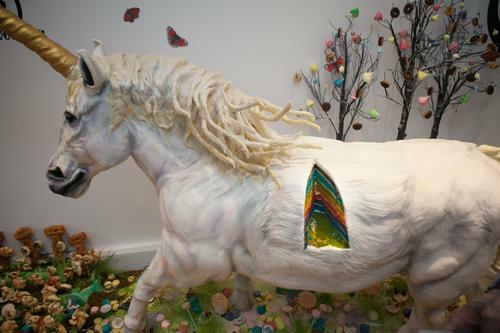 Check out this amazing post about the largest unicorn cake I have ever seen, all as part of National Baking Week, with donations of appreciation being made to Ormond Street Hospital Children’s Charity, National Baking Week’s charity partner. It is the most incredible edible masterpiece I have ever seen! Past this on my way to work this morning, and it makes me realise why I love Bristol. 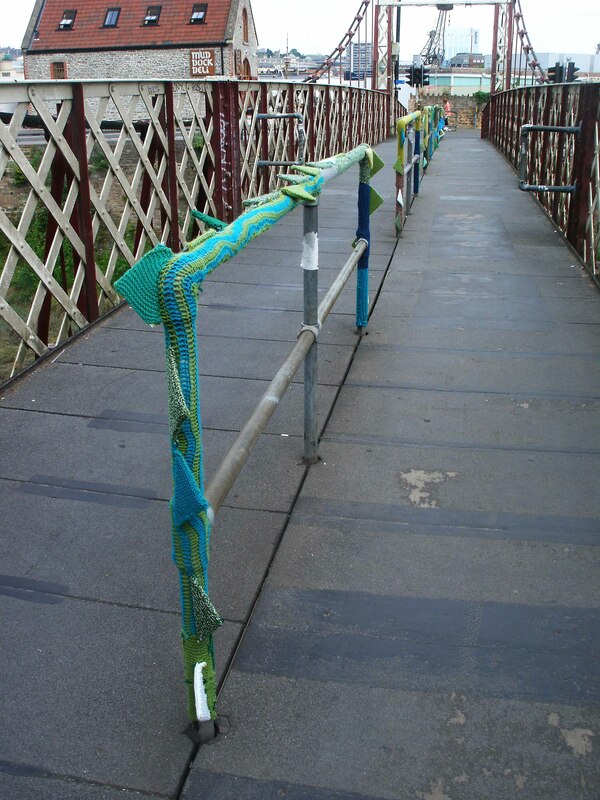 I have never seen woolly handrails before, but it certainly brightened my walk to work, and reinforces to me the wonderfully quirky city we live in. Where can you currently find a life sized wish bone, pickled onion knuckle dusters, an incense filled fish tank and a video based around KFC? Bloomberg New Contemporaries is a touring exhibition, and this year it’s other venue is Spike Island in Bristol. The collection of 46 recent fine art graduates works features over 100 pieces and is split across two sites – there is just that much work! 8 Millennium Promenade (next to Pizza Express) has provided Spike’s offsite space for New Contemporaries and can be reached by the Bristol Cross Harbour Ferry for 80 pence. New Contemporaries provides us with the first look at who might become big names in the art world in years to come. The diversity of the work selected is incredible. I am a Gallery Invigilator at both of Spike’s New Contemporaries venues, and having spent numerous hours with many of the works, there are many I still do not fully understand, yet that is beginning to not bother me. Some of my favourite pieces strike a chord with me because of how they make me feel, rather than the knowledge or concepts behind them. I don’t fully understand them yet that doesn’t matter. What matters is the experience I gained from viewing and interacting with them, and focusing on why they are the pieces I chose to enthuse to others about. So come along, and see which pieces grab your attention. Laugh at the ones you don’t understand and remember those ones that have the power to change how you feel. 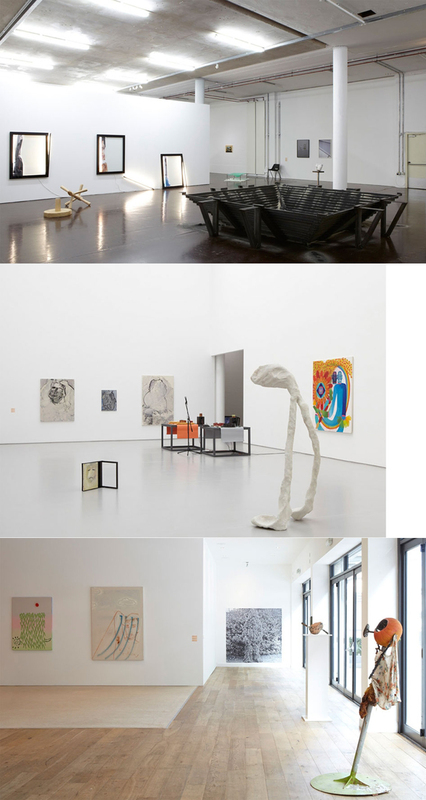 Bloomberg New Contemporaries is at Spike Island until 10th November, when it will move to ICA until January 2014. Open Tuesday – Sunday, 12-5pm. What better way can you think to spend 80 pence?